Since Valentine's Day is only 2 weeks away, I'd like to dedicate this week to this special day. 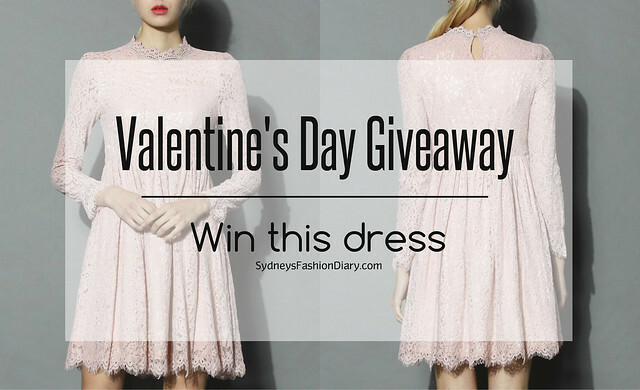 To start off, I am teaming up with Chicwish today to giveaway this gorgeous pink lace dress (in a size small) to one lucky winner. It couldn't be more perfect for a romantic dinner with your date. Giveaway open to U.S residents only and will run through Sunday 02/07. I will personally forward the prize to the winner. To enter, follow me on Instagram, find the above picture and tag one of your friends. Good luck! Aw, this is such a cute dress!